On April 4th, 2019, officers with the Merced Police Department Disruptive Area Response Team (DART) conducted a search warrant in the 1600 block of Primrose Avenue. Officers were investigating a possible illegal marijuana grow at the residence. 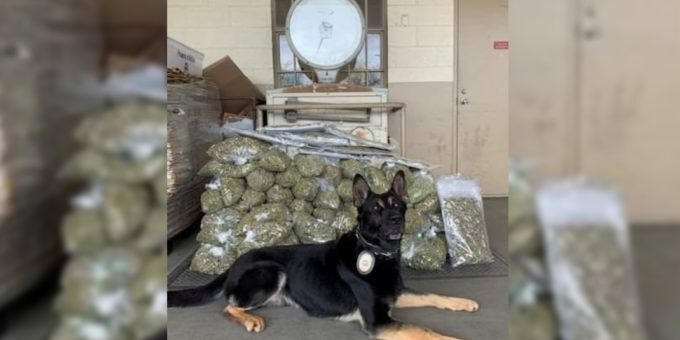 Officers located approximately 77 pounds of dried and processed marijuana inside the residence. In addition approximately 200 marijuana plants were also located at the residence. There was no posting or evidence the marijuana plants at the residence were being grown for medicinal use. There was nobody at the residence, however officers will be conducting a follow-up investigation to identify the suspect(s). Merced Police are asking anyone with any information , regarding this cases to contact Sergeant Solis at (209) 385-4703, or the Merced Police Department Tipster Line at (209) 385-4725. The public can send information via anonymous text messages to police department by dialing “TIP411” (847411) and including the word “Comvip” as the “keyword” in the text message.